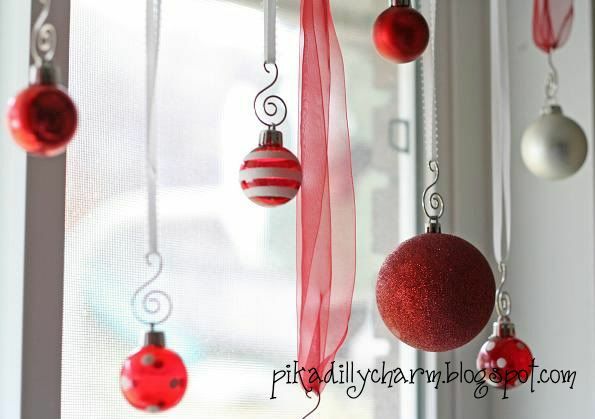 This is such an easy and beautiful way to add some holiday cheer to your windows. - Existing window with a curtain rod in it. - First cut various lengths of the different ribbon.....one for each ornament. 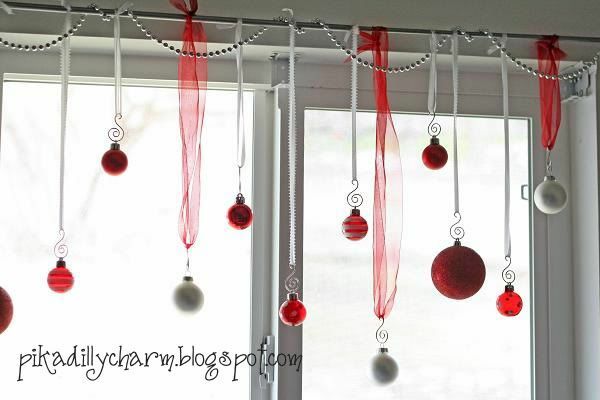 - Tie them onto an existing curtain rod. Be sure to mix the different lengths and color of the ribbons around as you tie them on. **Note** If you are not using ornament hooks, you will need to string the ribbon through the ornament before you tie it on the curtain rod. - Put a hook on the ornament and then hook it onto the ribbon. Again, mix the different sizes and colors of the ornaments up....so 2 of the same are not next to each other. 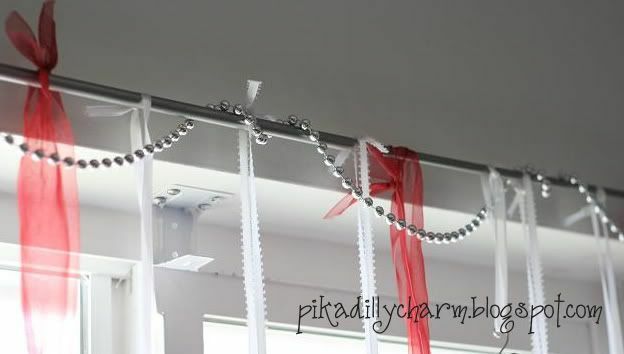 -For an added touch, I put a strand of beads on the curtain rod. Kind of twisting and draping it as I went. And here's the finished product. Very simple to do and it used things that I already had on hand around the house. That's really cute! 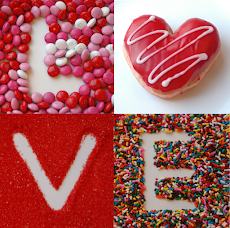 Love your ornament hooks!